Digital Score Download: $15.00, available soon! I am finding more and more how vitally important it is for me to step away from my indoor work, to do-lists, and strategic planning and immerse myself in nature. When I take the time to do this, my pulse slows, my mind clears, and what really matters to me in life comes into focus. I am comforted by the cycles of the moon and the rain, and by the lives of animals and plants, going about their own business, regardless of the anxieties of human society. In this piece, I invite you into stillness, reflection, and connection with whatever you are feeling in this moment that needs some attention. 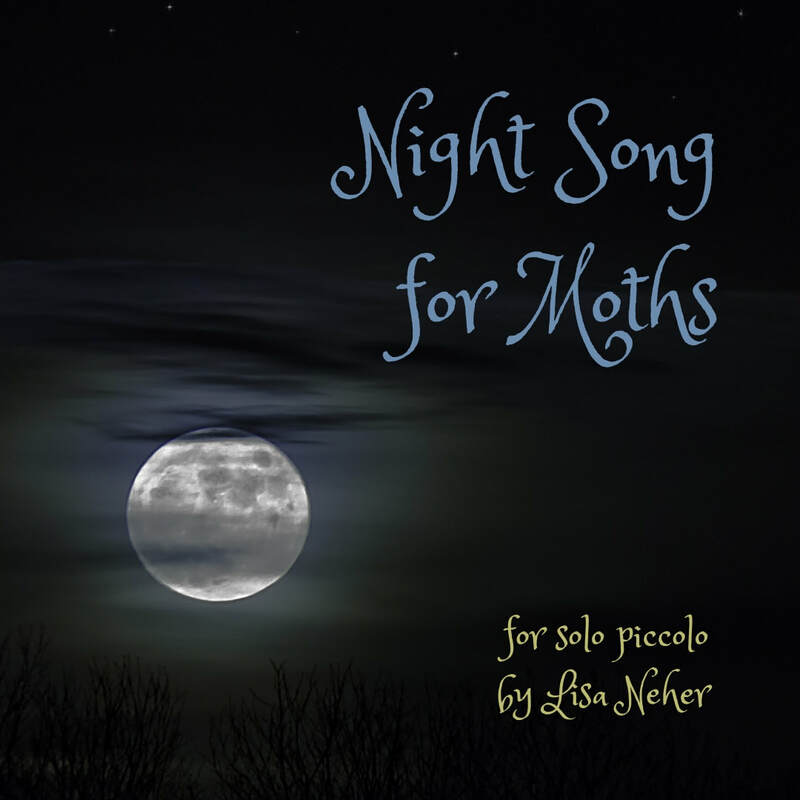 You will hear the gentle rising of the moon, beginning in the haunting low register of the piccolo, the fluttering wings and unpredictable movements of moths, expressed by fast ascending and descending motives and quivering trills, and the steady motion of rippling water, expressed by a series arpeggiated chords. The moon motive returns in the high register about halfway through the piece, representing the brilliant light of the moon as it reaches its apex. At the end of the piece, the motive descends, representing moonset as dawn approaches. This piece was commissioned by and is dedicated to my dear friend Rose Bishop.